Parking located at SALT Kaka‘ako's Parking Garage. Attendees 40 years of age or under. 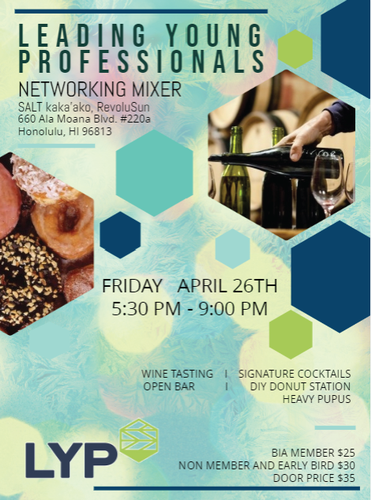 $25 for BIA-Hawaii members, $30 for non-members and $35 at the door.